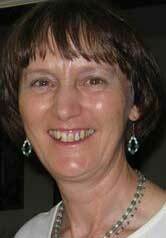 TRISHA JEWELLEN HARGADEN, BEd, is a former high school and adult educator with over 40 years teaching experience in Ireland, England, Australia and the US. A Guild certified Feldenkrais Practitioner in Awareness Through Movement and Functional Integration, as well as a certified Tai Chi teacher, she has maintained a part-time private teaching practice in NY since 1993. Trisha has had a keen interest in multidimensionality and energy work since the 1980s, when she started exploring the use of energy and sound for healing. She has been a volunteer at the New York International Academy of Consciousness since its inception and has been an Instructor at the International Academy of Consciousness since 2011.